This is another popular breakfast item (or nap wake-up snack, if you have a toddler). 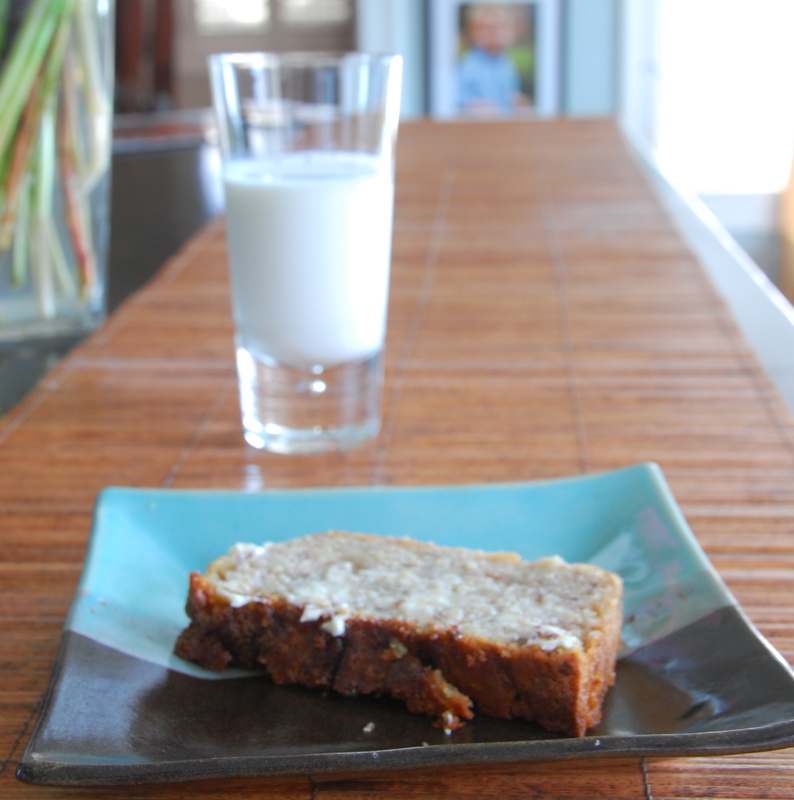 We will put this recipe up against any other banana bread recipe. If you have been lucky enough to visit one of our favorite places, Seabrook, Washington, you have had this at Lil’s Market. Pam is a sweetheart and shared her recipe. We let her make it for us when we are visiting, but enjoy thinking of our favorite beach town while making it for ourselves back in Texas. Eat this and you might just hear the ocean’s waves. In a medium bowl, whisk together flour, baking soda, and salt. Add to the butter mixture, and mix until just combined. Add bananas, sour cream and vanilla; mix to combine. Stir in nuts, and pour into prepared pan.